The Toyota HiLux is the best selling vehicle in Australia. It’s a mid-size pickup truck that’s beloved for its toughness and customizability and unfortunately, we don’t get it here in the U.S. because it isn’t built to pass U.S. safety and emissions standards, so we settle for the almost-as-cool Tacoma. The Tacoma is great and all, but Toyota just gave us three more reasons to crave the HiLux. It has three new trims with a heavy off-road focus; the Rogue, Rugged, and Rugged X all of which will come standard with four-wheel drive. The HiLux Rogue is luxurious, yet off-road ready with a revised front end. 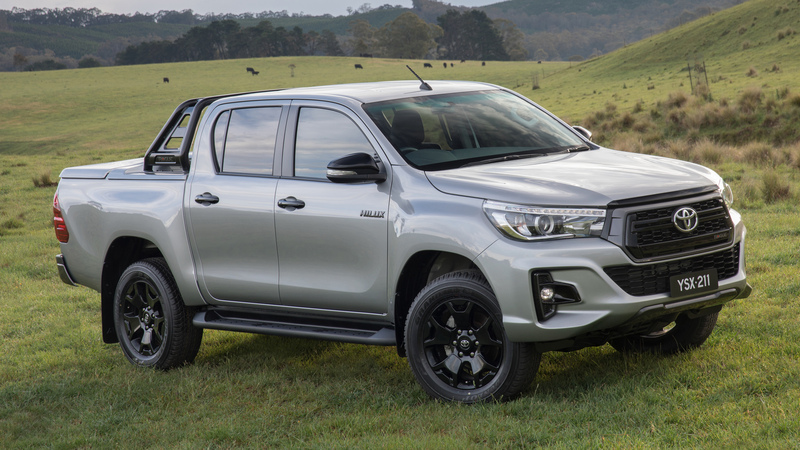 “HiLux Rogue is for people who want refinement and capability, enabling them to go for weekend adventures and do it in style,” said Toyota Australia Vice President of Sales Sean Hanley in a press release. The HiLux Rugged steps up the off-road game with an aggressive new front end and standard bull bar. "HiLux Rugged is about toughness and off-road performance - an ideal vehicle for getting off the beaten track,” said Hanley. 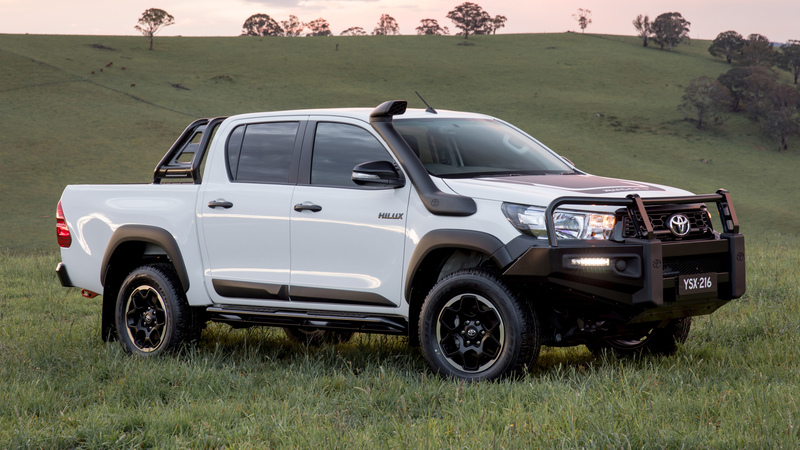 Finally, the Rugged X is at the top of the HiLux food chain with a snorkel intake, LED driving lights, rock rails, a high-tensile alloy bash plate, and a winch-compatible bull bar. “HiLux Rugged X is a no-compromise vehicle for those seeking adventure with a robust and capable vehicle that makes the ultimate statement: work hard, play harder,” said Hanley. The HiLux Rugged X reminds us a lot of the Toyota HiLux Tonka concept we saw last March, albeit less crazy and less yellow. 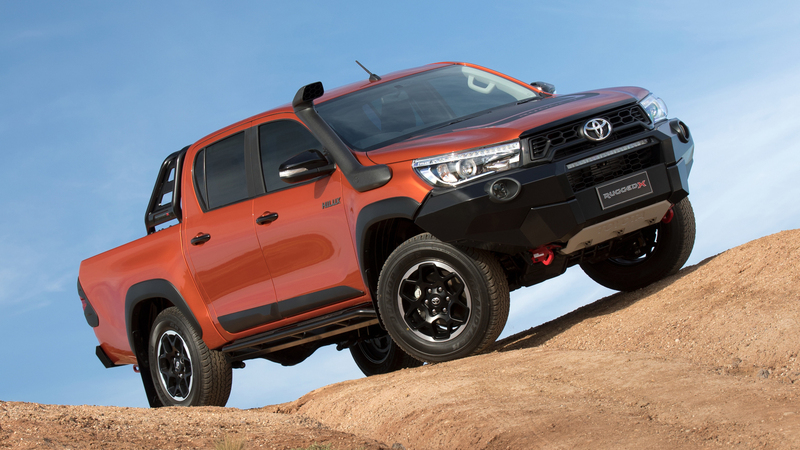 Since the HiLux isn't a U.S. market truck, we reached out to Toyota asking if any similar off-road trims would be coming to the Tacoma pickup. "Unfortunately, we cannot comment on future product," said a Toyota representative in an email to The Drive. We were also reminded that all 2018 Tacomas come standard with TSS-P, the latest version of the Toyota Safety Sense suite of tech features like a pre-collision system, lane departure alert, dynamic radar cruise control, and more. The new additions to the HiLux family are likely a response to the Ford Ranger Raptor that was announced for Australia and a few other markets (not the U.S., of course) back in September. The Ranger Raptor promises to pack the off-road insanity of the F-150 Raptor in a mid-size package. Ford may have beaten Toyota to the punch in announcing a world-beating off-road mid-size pickup, but the Ranger Raptor hasn’t been officially unveiled yet and the new HiLux models have. Both trucks should be hitting the Australian market at some point in 2018.